This image shows Coma Berenices at left with Leo in the center of the frame. Saturn is in also in Leo. It was taken by Chris Newsome on the 26th March 2009 while at the Basingstoke Astronomical Society to which he gave a presentation that evening. Chris used a Canon 400D camera at 400 ASA and a combination of two 30 second exposures to produce the image. He says that it was dark enough not to need a light pollution filter. Chris Newsome took the following picture of Coma Berenices around 06:30 UT on the 7th December 2005, just before morning twilight made imaging impossible. The most striking feature of Coma Berenices is the large loose open cluster Mel 111, named after the astronomer J P Melotte, who catalogued it in 1915. 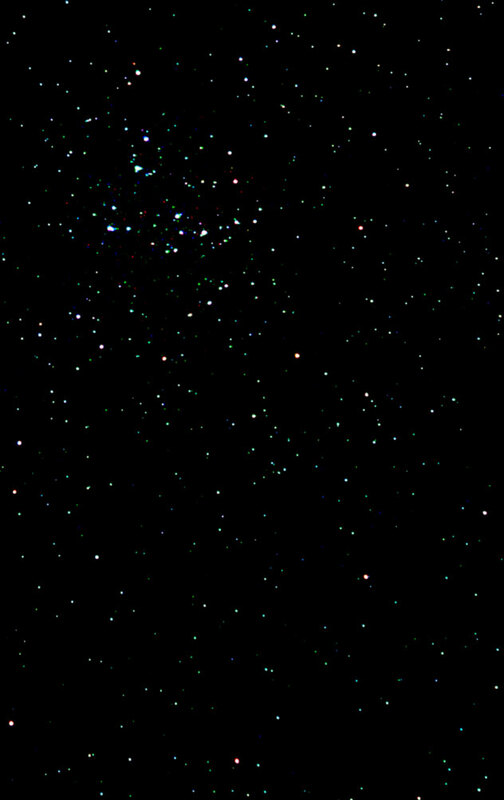 Chris used a Canon EOS300D camera with a 55-205mm lens set at 60mm (f/5.6) with a Skyglow filter attached. The camera was piggybacked on a driven Celestron C6-N. 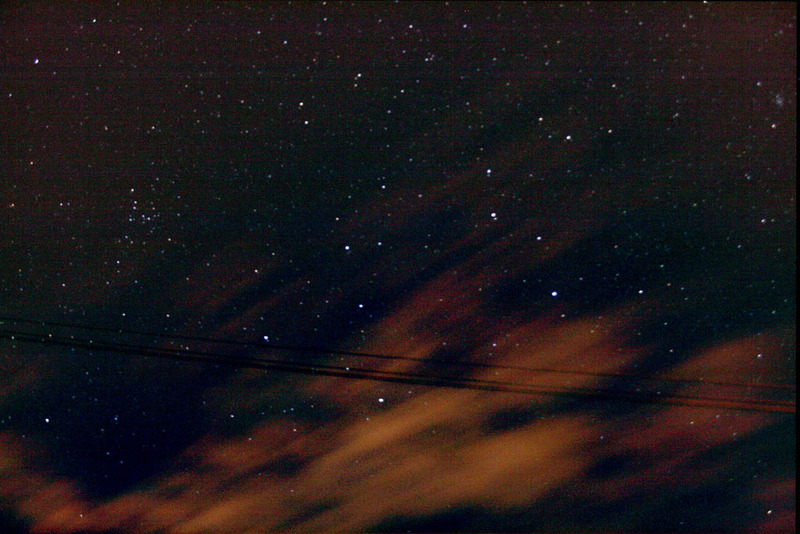 The image is comprised of three 180 second exposures at 1600ASA which were stacked and dark subtracted in MaximDL. The final image was processed in Photoshop CS2 using GradientXTerminator, Curves, RGB Levels and a Gaussian Blur.